I deeply appreciate the kind words shared below by some of our practice members. These people shared their experiences and results in the hope that you might see a reflection of what’s possible for you. Eat to Live your B.E.S.T. lecture – Omg….this session was amazing! Alisa is very knowledgeable and all she said made perfect sense! Thank you. Eat to Live your B.E.S.T. lecture – Alisa really opened my mind on beliefs & how our body works b.e.s.t.! 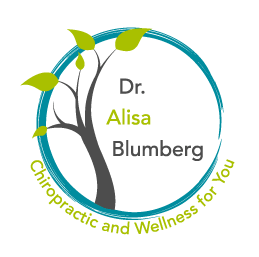 I got deeply inspired by Dr. Blumberg’s personal story that lead her to her healing journey. This has resonated with many of my own struggles that I’ve been fed up with and at that point I knew I wanted a change. Being kindly informed and educated about what the process of B.E.S.T involves, I decided that I had nothing to lose and immediately proceeded to treatment. Although I have received only a few treatments so far, I can say that I began to feel more grounded, secure and positive. In fact, this therapy has sparked my own interest in learning to practice this therapy. Being a healthcare professional myself, I immediately signed up for the 1st available certification course and started using it with my own patients. B.E.S.T therapy works on something very deep, meaningful and truthful – something that resides within us all, yet may come out in different ways. As this therapy is designed to work with the individual rather than symptomatic treatment, it may benefit anyone wishing and believing in their health. I was recommended Alisa and BEST by my naturopath to balance my body and emotions. It was a great experience in that I have done so much body work and BEST was something completely new to me. The practice was beneficial for my sleep, general overall health and sense of wellbeing. BEST is a great for anyone who desires a complete mind/body integration. You are an amazing guide!!! You have brought out some of the best revealing moments and just when it was right. My soul thanks you and my heart blesses you. As I am writing this I am tearing up; not from sadness but a sense of JOY and PEACE. I do love you for all you continue to do for me. It was amazing to see you working! My daughter feels so much better now! Incredible Alisa! I’ve found that the best way for people to learn about the shifts that are possible in their lives is by hearing it through the words of people who have been where they are. If you could answer the questions below, I will put them into a short ‘testimonial’ and send back to you for approval. Alternately, if you’d be willing to do a very short impromptu video the next time you’re at the clinic I’d love to record it so that people can see you telling them about your experience. What made you come to see me in the first place? What would you tell people about the process? Who do think most needs the work that I do? Would you be willing to answer these questions in a very brief video?